A collection of the best japes sprung on unsuspecting internet users as part of the annual April Fools' tradition. We spend 364 days of the year trying in vain to stop the spread of fake news. But today, April Fools’ Day, we celebrate it. You can check out some of our favorite pranks in the history of the holiday, such as the London’s Capital Radio 1979 announcement that April 5 had been cancelled, the BBC’s video report of a Spaghetti harvest in 1957, or Burger King’s infamous “left-handed” whopper of 1996, in this article. Or read more about the holiday’s history here. Juji and I haven’t posted a normal size selfie in a while. So…’Sup. This is us. You can see more images of this fake 450-pound dog here. Did President Trump Legalize Marijuana? Nope. That rumor comes from an April Fools’ Day joke perpetrated by LAWeekly.com. 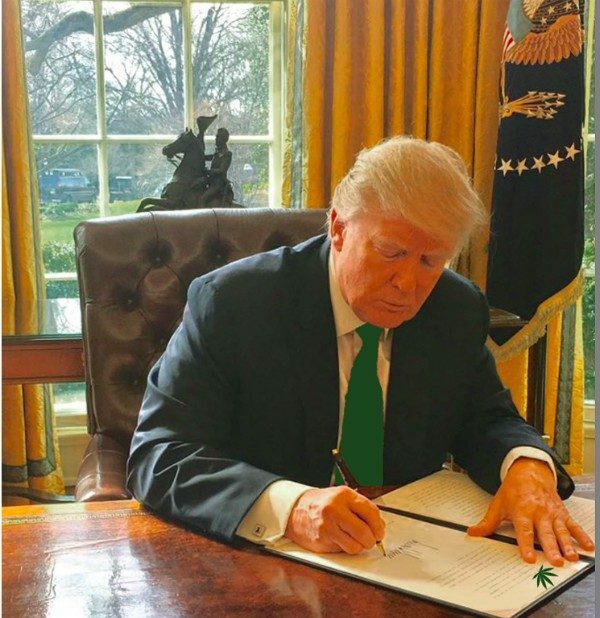 The website wrote that Trump had signed the historic legislation during an unannounced Oval Office session and that the president had donned a green tie for the occasion. Is it just us, or does something seem a little off about this tie…? Say goodbye to height fishing… It’s come to our attention that most of you 5’10ers out there are actually 5’6. The charade must stop. This type of dishonestly doesn’t just hurt your matches — it hurts us, too. Did it ever occur to you that we’re 5’6 and actually love our medium height? Did it ever occur to you that honesty is what separates humans from sinister monsters? Of course not. You can read more about the “height verification” tool here. You can Brady’s original posts here. The biggest drawbacks of stationary bikes are, well, that they’re stationary. Thankfully, Planet Fitness has the solution. This entire story has been an April Fools’ Day joke! You can breathe a big sigh of relief; Dolly Parton has no plans to sell Dollywood to Kanye West (or any other celebrities). You can find this prank here. As a general rule, you should never put urine on your computer screen. 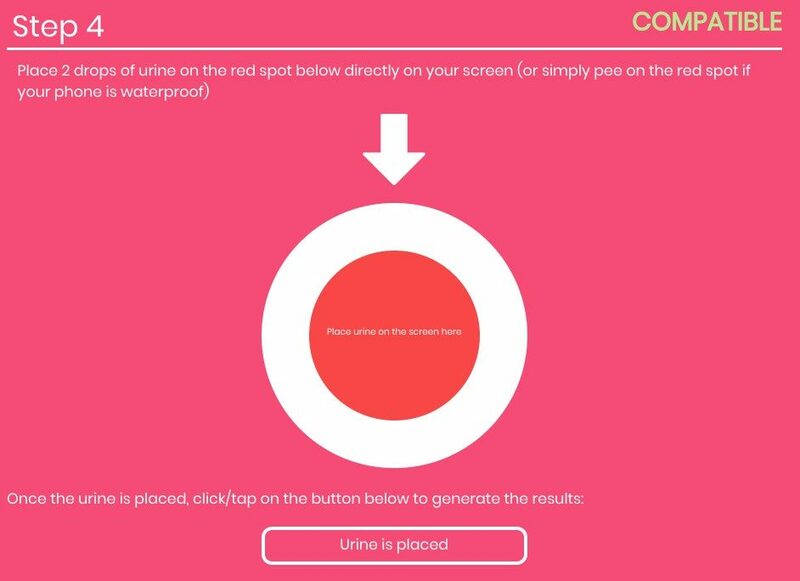 The website ovulation-calculators.com played a urine-themed prank on their readers when they unveiled a new “online pregnancy test.” After asking a few simple questions, such as age and gender, the website asked readers to place a few drops of urine on their screen to test if they were pregnant. But no matter how much urine was placed on the screen (again, do not urinate on your computer), the results from this pregnancy test were unreliable because this was just an April Fools’ Day prank. The aim of this online pregnancy test is to take advantage of the latest technological innovations to make pregnancy testing and gender detection more convenient for millions of women and couples around the world. Launched on the 30th of March 2019, this tool was actually built as a fun prank for the 1st of April 2019, and we hope you’ll treat it alike. To share this tool without this disclaimer, use this special URL. Is there anything more painful than stepping on a Lego? Is there anything more frustrating than losing an important piece? Lego attempted to jokingly solve those problems today with the release of the new “Find My Brick” app. 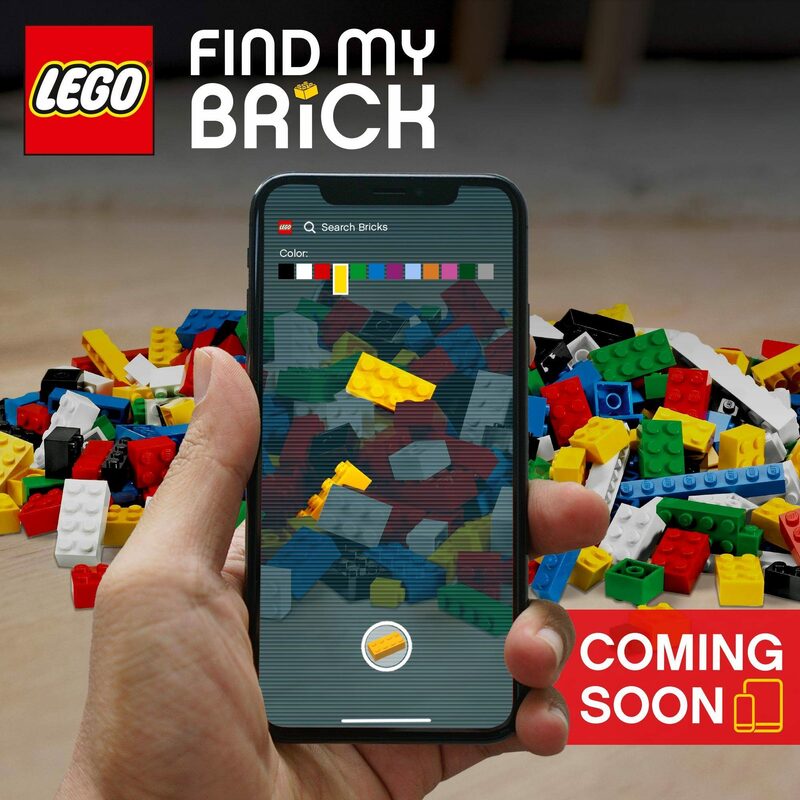 While a number of people chimed in on Lego’s Facebook page to say that they’d really love a “Find My Brick” app, this was just another April Fools joke. You can check out the “Find My Brick” app on Lego’s Facebook page. 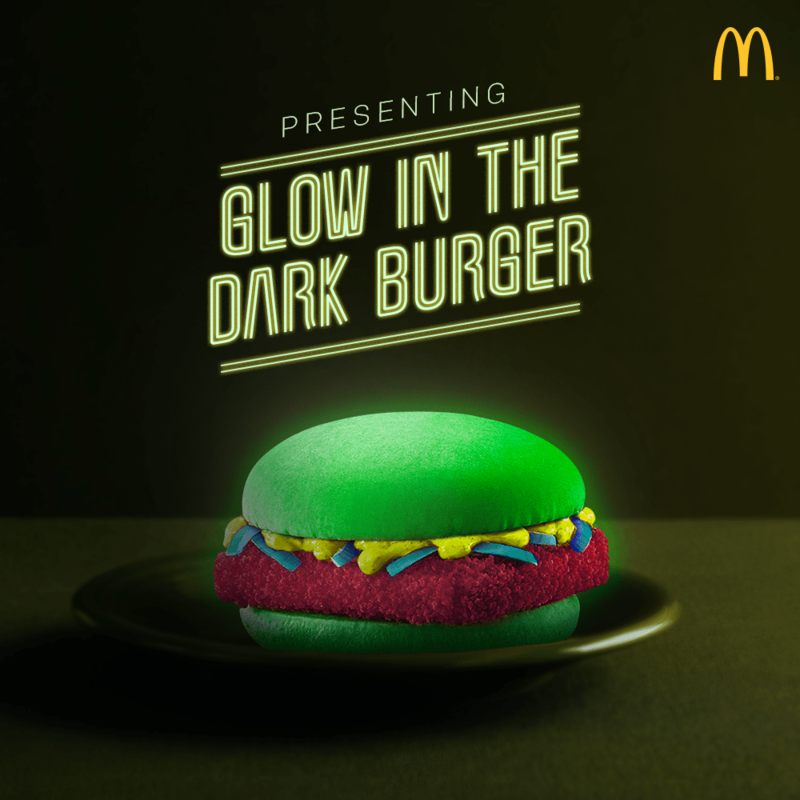 McDonald’s Glow in the Dark Burger? This juicy jape was originally posted on McDonald’s India’s Facebook page. The message claimed that this Glow in the Dark burger was coming soon, but then added the hashtag #maybe. McDonald’s fans in Australia were actually excited to taste the McPickle Burger and were a little disappointed when they realized it wasn’t real. Mixmag.net published an article on 1 April 2019 that claimed Google had acquired a majority share of the Burning Man Festival. Marcus Fooly, Google’s Chief of Fun and Games division, who told us some of the things that the business has planned for the festival. You can read MixMag’s Google Burning Man story here. You can read more about Kingfisher’s Instant Beer here. What’s cuter than a baby koala? 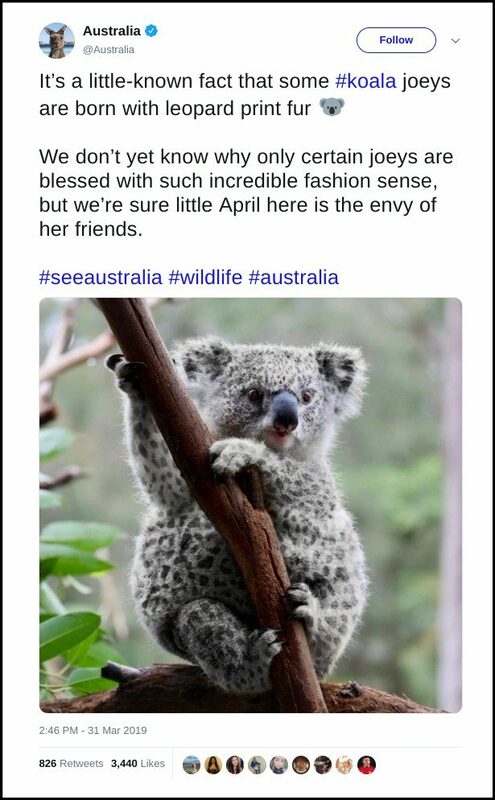 How about a baby koala in leopard print fur? WestJet also posted an article about their fake Fyre Fest here.